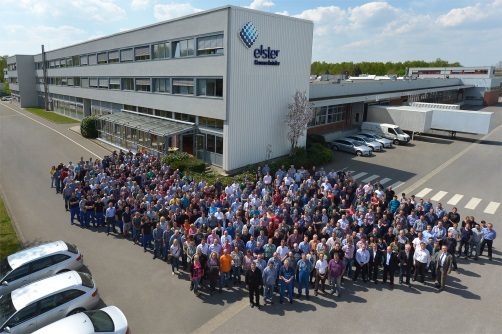 Elster GmbH occupies a leading position in international competition. The portfolio covers gas meters for domestic households and commercial premises, safety valves and controller components for heating systems as well as systems for measuring and controlling industrial heating processes. With a large number of service support points, sales outlets and production sites worldwide, we are a reliable partner for our customers' working in industry, commerce and energy supply. We offer not only high quality products but also individually tailored services. By developing new technologies, we actively contribute to our customers economic success. Our investments in research, education and environmental protection will also be beneficial for future generations. Elster GmbH is a company of the Elster Group with comprehensive skills in all fields of gas distribution and utilization. Elster Kromschröder products are renowned for their top quality. Furnace manufacturers like to install them as they cannot accept the slightest compromise when it comes to safety, economy & reliability. 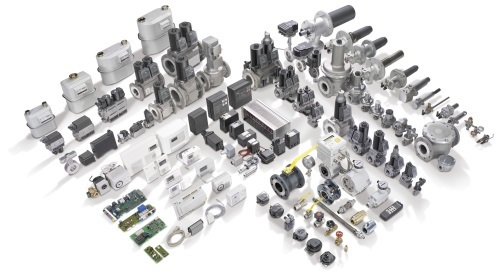 Gas pressure regulators for maintaining constant pressures. Safety shut-off valves for securing all downstream controls against excess pressure. Gas solenoid & motorized valves for automatic shut-off of pipes. Tightness controls for valve tightness checks. Burner control units for gas burner monitoring. Systems are supplied worldwide, including project planning, production & commissioning.